A comprehensive range of single board computer solutions in a range of sizes. Both x86 and ARM Architectures are within this product range, as are the Sub Compact Solution boards. RDS provides a wide range of Industrial computer systems from AAEON. RDS provides a range of support products such flash storage, servers, video playback devices. 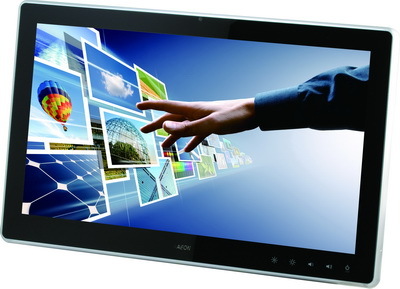 The ACD-521M is a 21.5" Full HD Infotainment Multi-User And Multi-Touch Display.